Capillary suction in foundations is often called rising damp. Evidence of the condition is commonly found inside the basement, and in more advanced cases, outside too. Rising damp will often leave behind a tidemark on the wall surface. In areas subject to freezing, the condition can cause spalled masonry units and failed mortar joints. Broken downspouts, clogged gutters and underground sprinklers contribute to the condition, as will soil heavy with clay. 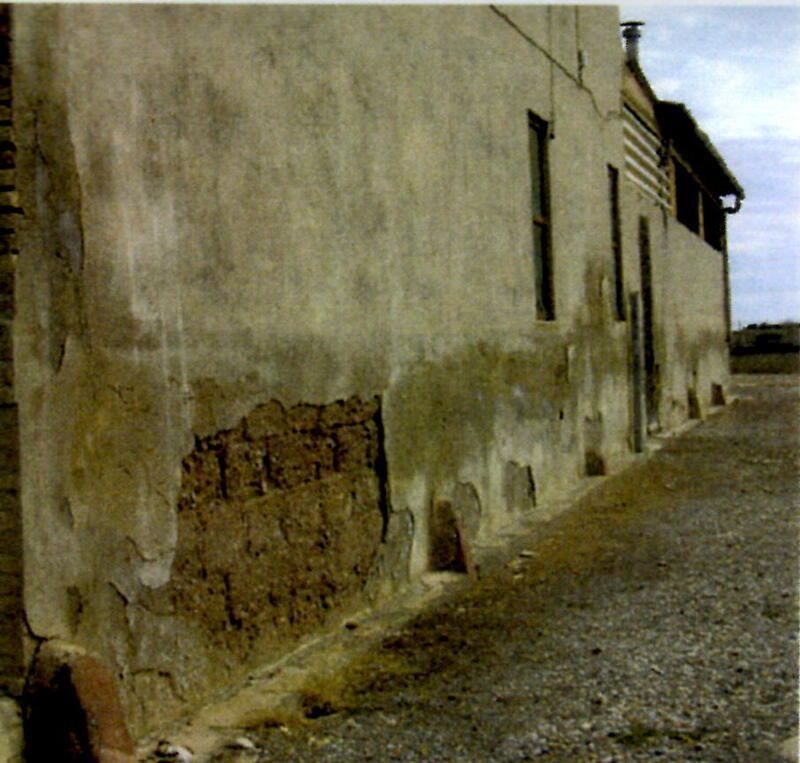 In the late 1800s builders and architects generally would select masonry materials that had a lower porosity for the first few courses of foundations in an effort to manage moisture from rising. Many government buildings in the United States have granite incorporated into the design of the building foundation, and then sometimes a course of slate tiles in the bed joints between the masonry units to offer additional protection. This design would mitigate the rise and force the water back down into the foundation wall from where it came. Under total saturated conditions, with nowhere to go the water could find its way out the face of the masonry units and mortar joints either indoors or outside, deteriorating the materials over time. Water can cause trouble by itself, such as when it is exposed to freezing temperatures. But when water is combined with salt the trouble is magnified many times. Pressures build inside the wall system when salts try to dry out and crystallize, making for an eruption of spalled and deteriorated masonry. Osmotic pressure is caused by expanding salt crystals trapped in the body of masonry formed during and after the evaporation of water on the surface. It is these salt crystals that appear as a white powder on the wall. They can potentially build up to 3,000psi, stressing the masonry. This condition can be compounded up to 5,000psi when past attempts to control the moisture by repairing with hard mortar and applying spray-on waterproofing materials are involved. This entry was posted on October 17, 2011, 2:35 pm and is filed under Uncategorized. You can follow any responses to this entry through RSS 2.0. You can leave a response, or trackback from your own site. A slate course about 3 or 4 brick courses above grade was pretty common for Washington DC residential buildings c. 1850-1900. I work in the preservation office here and get to dig around alot of rehabs in our HDs. I see slate courses more often then not here. I almost never see rising damp damage above the slate course.